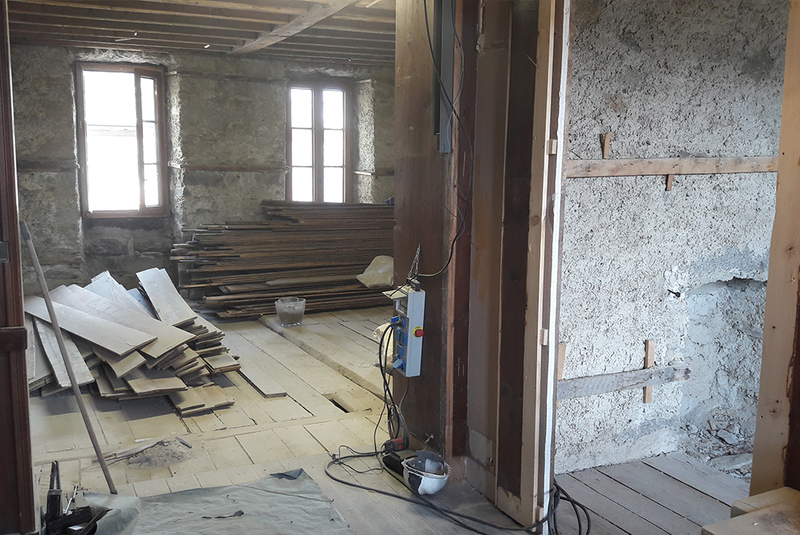 The total renovation of the Hotel Montenvers started on 05/09/2016 continues with reopening scheduled for June 2017. 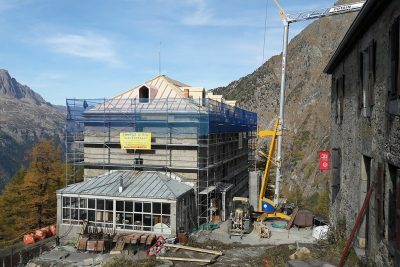 The Arrival Montenvers station is also undrgoing renovation to provide better reception to customers. Its reopening is for spring 2017. Phase 1 of the work includes the renovation of the Montenvers station, renovation of the Panoramic restaurant and the Grand Hotel as well as renovation of the networks. The site will be partially opened to the public this winter as of Saturday, December 17, 2016 and will propose visits to the ice cave, the opening of new Panoramic restaurant (traditional dairy-type atmosphere) and visits to the Glaciorium. 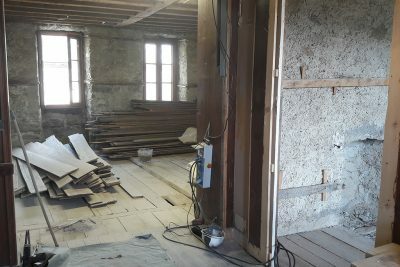 The north wing of the station will offer a reception area, drinks, sandwiches, and souvenir shop. The central part of the station and its south wing and the Grand Hotel will be closed for work to the public through the winter 2016-2017. 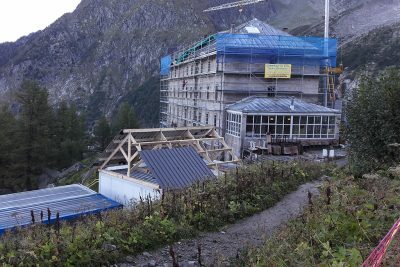 The new arrival station with its new store, its new Glacier bar and the new Grand Hotel (22 rooms fully renovated and open 11 months out of 12, revised catering offer) will open June 1, 2017. 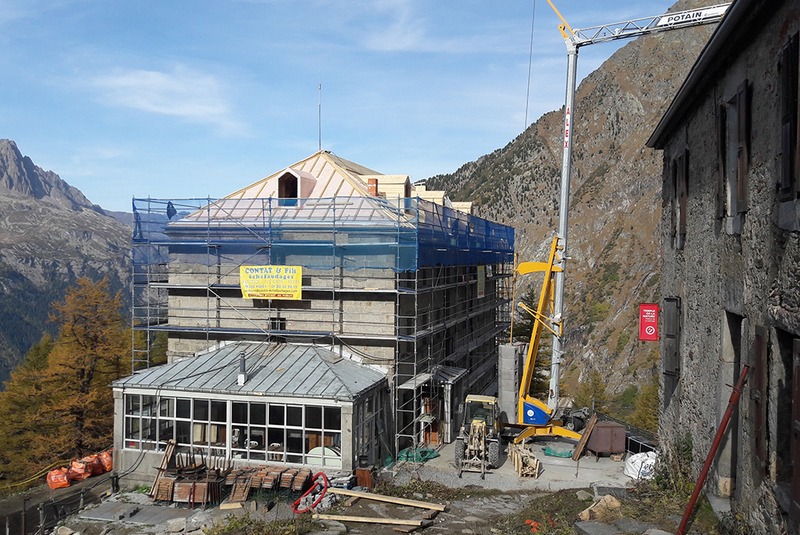 Phase 2 of the work (as part of a bid to the Commune in a new DSP to be launched end of 2016) including the new gondola Mer de Glace, the new ice cave and creating an international center of interpretation of the glaciers and the climate will take place in 2017 and 2018. 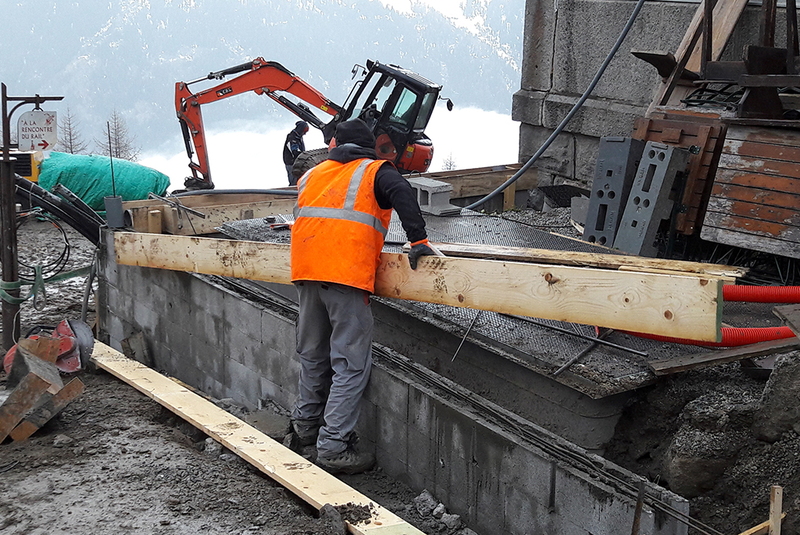 With the completion of all these projects and guided by the legendary red train, the travel experience to the Montenvers Mer de Glace will be a truly breathtaking one!